About two days later, I seriously considered scrapping the whole thing altogether. What happened? Well, I started reading other blogs. And I found a few that blew me away with writing so good I figured I might as well forget it—there was no way I could compete. After a heart-to-heart with my husband (an actual, paid-to-do-it, PROFESSIONAL writer), I decided to keep at it. But I kept my eye on those blogs I admired so much, determined to learn as much as I could from them. And I have learned—a LOT. I have also been entertained, inspired, coached—and, on a few occasions, made to laugh so hard I almost spit coffee all over my laptop. 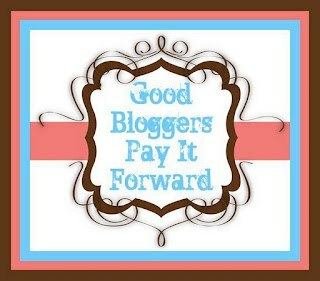 So, in the spirit of “Paying It Forward,” I’d like to introduce you to four of my current favorite blogs. I urge you to check them out, subscribe to their feeds, follow them on facebook and Twitter—do whatever it takes to be sure you don’t miss a word from any of them. First of all, one of my absolute favorite blogs of all time is Gina Valley: The Glamorous Life of theModern Day Soccer Mom. Gina mostly writes about everyday life with her “pack:” her husband and five (FIVE!) kids, ranging in age from toddler to teenager. I first found Gina when I stumbled across her post, “How to Make Ice Cubes—An Old Family Recipe.” I’m embarrassed to admit I was sucked right in by that title—Was there really another way to make ice cubes? Had I been doing it wrong all this time? (Don’t laugh—I’m not known for my cooking skills.) I was relieved to learn that I am, in fact, an excellent ice-maker, and I was so impressed with Gina’s ability to wring so many laughs from such a mundane task that I began to follow her. (Here’s a hint: to make ice cubes, Gina says, you mostly need $5 and a bottle of wine. Go read the post and you’ll see how that makes perfect sense.) This woman is a genius. She can literally find the humor in any day-to-day event, from trying to find the TV remote to parent-teacher conferences. Any time I need a laugh or to feel better about my crazy, chaotic home, I go straight to her blog. 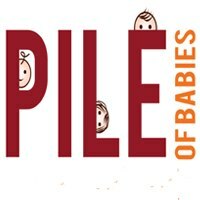 Another mom blog I go to when I need a laugh is Pile of Babies, by Meredith Bland. That name sounds familiar, doesn’t it? 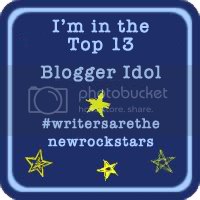 Yep, it should—she’s another contestant in this here Blogger Idol contest. I didn’t know about Meredith and her blog until I became a Blogger Idol finalist myself, and now I am hooked. Meredith is also able to find humor in pretty much any daily family event, and seems to be living my exact same life sometimes (except that she has TWINS, which is I guess just “lucky” for her). For example, when I read her post titled “The New Way My Children Like to Torture Me,” I seriously thought about sending her a stalkerish, um, earnest email telling her that my preschooler does the exact same thing. EXACTLY. And it IS torture. (Intrigued? You should really go check out her blog, and that post.) But while Meredith is usually laugh-out-loud funny, she has posted a few more serious posts recently that got very personal and really made me think. Turns out she’s quite a versatile writer, which I truly admire. The third blog I want to tell you about is actually the one that took my parent-blogger virginity, if you will. He was my first—the first parent-written blog I ever read. I “met” Aaron Gouveia of The Daddy Files in an online parenting message board when our sons were both much younger. He stood out, being one of only a few dads who were active in the group, and when he mentioned that he wrote a blog I immediately checked it out. I loved it at first because, like the two I’ve already mentioned, it is clever and funny—and written from a male point of view, which makes me feel like I’m doing research on my husband. But, funny as he is, Aaron has never shied away from talking about the “real” issues in his life—even when they are incredibly difficult and sad. In July, 2008, he blogged with amazing honesty about the experience of learning that his unborn child had extreme and terminal physical abnormalities and would not survive gestation. Check out “The Words No Parents Want to Hear,” but have your tissues ready. Over the years since then, Aaron has written occasionally about his and his wife’s subsequent—and so far unsuccessful—attempts to have a second child. His most recent post on the topic, “It’s My Fault We Can’t Have Another Baby,” is one of the bravest things I have read ever. EVER. Laura (on the left) and me, a few months ago. So. Because it would be hard to follow THAT up with another parent blogger, I want to close by introducing you to an entirely different sort of blog, and to an old friend of mine. My friend Laura—we’ve known each other since the first day of journalism school over twenty years ago—writes a fitness blog called Laura Loves Fitness. When I heard she was starting a fitness blog, I wasn’t exactly surprised. After all, despite working a full-time job as a journalist in Manhattan she managed to become a Certified Personal Fitness Trainer, a Certified Group Exercise Instructor, and a Licensed Zumba Instructor, all in her free time. But I was a bit wary—would I, a harried, not-quite-but-almost-overweight stay-at-home mom of two really be able to relate to the advice of a career-oriented, childless, extremely toned (like, HOT!) fitness advocate? The answer: absolutely. What I love most about Laura’s blog is that she manages to inspire people to fit fitness into their lives, but is completely realistic about the challenges we all face when trying to do so. She writes about her own fitness setbacks—like business travel or illness—and how she gives herself a break when necessary. She doesn’t preach about healthy eating or avoiding alcohol—she talks about moderation and gives awesome ideas for low-calorie cocktails. Laura is 100% the reason I have been exercising regularly for over a year now, despite my failed attempts at Zumba. The only thing I DON’T like about her blog is the raging jealousy I feel when she posts pictures of her abs. The woman is a perfect physical specimen, and the fact that she is willing to share her secrets is marvelous. So, there you have it. These bloggers have made me laugh, cry, and sweat. They have all inspired me to be either a better person or a better writer—and often both. I hope you will check them out. 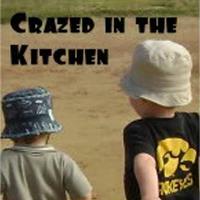 This article was originally posted as my sixth weekly entry as a contestant in Blogger Idol. To see the judges' comments, read it again here. And be sure to follow me on facebook and Twitter to find out about the next round of Blogger Idol, coming up next Wednesday! First love the new look on your blog :) Looks so fresh and inviting ! familiar with Gina's blog :) Like it too ! Will check the others out especially the fitness one ! Thank you! They are all wonderful--LauraLovesFitness has really changed how I think about fitness--it doesn't have to be "all or nothing." Such a relief! i love how you are about the business of building up other bloggers' brands, molly. you're the bees knees, 'tis true. following the names you threw up here now. thinking all good thoughts for your forward 'blogger idol' progress! Thanks, Wendy! I've been busy and haven't been by your blog lately--heading over there soon! I know what you mean: sometimes reading other people's blogs can be intimidating! I love your list of blogs and I'm going to check them out for sure. It's refreshing that you admire some other bloggers out there. Thanks for throwing gratitude into the air and giving love where it is needed. Good thing you kept the blog! It's always nice to read about other Mom's life experiences and thoughts. That's awesome. I really like this idea...You have just given me my next blog topic. I'm happy that you decided against scrapping! Good for you. I am excited to read more of your posts and check out the bloggers on you list. Thank you for sharing.